The Van Connect App is a simple one-stop solution for connecting with Vancouver City Hall, 24 hours a day, seven days a week. 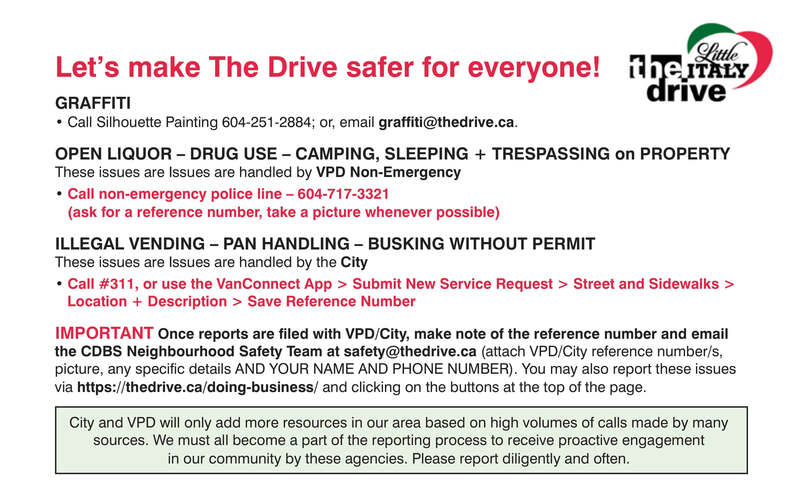 Using this City of Vancouver Smartphone app, you can request a By Law Officer to attend and address the issues outlined above, by submitting a short description of the problem and uploading a picture. The app automatically “knows” where the issue is located and sends a report to the corresponding department and informs you the instant your request is resolved. VanConnect can be accessed by downloading the program to your phone, or desktop.